LEASE DISCLAIMER Available only to qualified customers through Mercedes-Benz Financial Services at participating dealers through April 30, 2019. Not everyone will qualify. Advertised 36 months lease payment based on MSRP of $34,045 less the suggested dealer contribution of $750 resulting in a total gross capitalized cost of $33,295. Dealer contribution may vary and could affect your actual lease payment. Includes Destination Charge and Keyless Go Package. Excludes title, taxes, registration, license fees, insurance, dealer prep and additional options. Total monthly payments equal $12,924. Cash due at signing includes $2,499 capitalized cost reduction, $795 acquisition fee and first month’s lease payment of $359. Your acquisition fee may vary by dealership. The acquisition fee charged by the dealer may affect the total cash due at signing. No security deposit required. Total payments equal $16,218. At lease end, lessee pays for any amounts due under the lease, any official fees and taxes related to the scheduled termination, excess wear and use plus $0.25/mile over 30,000 miles, and $595 vehicle turn-in fee. Purchase option at lease end for $20,427 plus taxes (and any other fees and charges due under the applicable lease agreement) in example shown. Subject to credit approval. Specific vehicles are subject to availability and may have to be ordered. See participating dealer for details. Not valid in Puerto Rico. Please always wear your seat belt, drive safely and obey speed limits. Special lease rates may not be reflected in lease calculator prices shown on MBUSA.com. Please see your dealer for final pricing. Special lease rates may not be reflected in prices shown on MBUSA.com. Please see your dealer for final pricing. LEASE DISCLAIMER Available only to qualified customers through Mercedes-Benz Financial Services at participating dealers through April 30, 2019. Not everyone will qualify. Advertised 36 months lease payment based on MSRP of $35,895 less the suggested dealer contribution of $999 resulting in a total gross capitalized cost of $34,896. Dealer contribution may vary and could affect your actual lease payment. Includes Destination Charge and Premium 1 Package. Excludes title, taxes, registration, license fees, insurance, dealer prep and additional options. Total monthly payments equal $12,564. Cash due at signing includes $2,653 capitalized cost reduction, $795 acquisition fee and first month’s lease payment of $349. Your acquisition fee may vary by dealership. The acquisition fee charged by the dealer may affect the total cash due at signing. No security deposit required. Total payments equal $16,012. At lease end, lessee pays for any amounts due under the lease, any official fees and taxes related to the scheduled termination, excess wear and use plus $0.25/mile over 30,000 miles, and $595 vehicle turn-in fee. Purchase option at lease end for $20,460 plus taxes (and any other fees and charges due under the applicable lease agreement) in example shown. Subject to credit approval. Specific vehicles are subject to availability and may have to be ordered. See participating dealer for details. Not valid in Puerto Rico. Please always wear your seat belt, drive safely and obey speed limits. Special lease rates may not be reflected in lease calculator prices shown on MBUSA.com. Please see your dealer for final pricing. 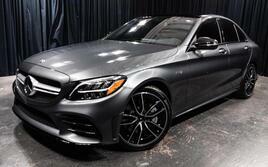 Special lease rates may not be reflected in prices shown on MBUSA.com. Please see your dealer for final pricing. LEASE DISCLAIMER Available only to qualified customers through Mercedes-Benz Financial Services at participating dealers through April 30, 2019. Not everyone will qualify. Advertised 36 months lease payment based on MSRP of $43,995 less the suggested dealer contribution of $2,099 resulting in a total gross capitalized cost of $41,896. Dealer contribution may vary and could affect your actual lease payment. Includes Destination Charge, Premium 1 Package and Blind Spot Assist. Excludes title, taxes, registration, license fees, insurance, dealer prep and additional options. Total monthly payments equal $15,444. Cash due at signing includes $2,999 capitalized cost reduction, $795 acquisition fee and first month’s lease payment of $429. Your acquisition fee may vary by dealership. The acquisition fee charged by the dealer may affect the total cash due at signing. No security deposit required. Total payments equal $19,238. At lease end, lessee pays for any amounts due under the lease, any official fees and taxes related to the scheduled termination, excess wear and use plus $0.25/mile over 30,000 miles, and $595 vehicle turn-in fee. Purchase option at lease end for $25,517 plus taxes (and any other fees and charges due under the applicable lease agreement) in example shown. Subject to credit approval. Specific vehicles are subject to availability and may have to be ordered. See participating dealer for details. Not valid in Puerto Rico. Please always wear your seat belt, drive safely and obey speed limits. Special lease rates may not be reflected in lease calculator prices shown on MBUSA.com. Please see your dealer for final pricing. Special lease rates may not be reflected in prices shown on MBUSA.com. Please see your dealer for final pricing. LEASE DISCLAIMER Available only to qualified customers through Mercedes-Benz Financial Services at participating dealers through April 30, 2019. Not everyone will qualify. Advertised 36 months lease payment based on MSRP of $60,795 less the suggested dealer contribution of $1,299 resulting in a total gross capitalized cost of $59,496. Dealer contribution may vary and could affect your actual lease payment. Includes Destination Charge. Excludes title, taxes, registration, license fees, insurance, dealer prep and additional options. Total monthly payments equal $25,164. Cash due at signing includes $4,099 capitalized cost reduction, $795 acquisition fee and first month’s lease payment of $699. Your acquisition fee may vary by dealership. The acquisition fee charged by the dealer may affect the total cash due at signing. No security deposit required. Total payments equal $30,058. At lease end, lessee pays for any amounts due under the lease, any official fees and taxes related to the scheduled termination, excess wear and use plus $0.25/mile over 30,000 miles, and $595 vehicle turn-in fee. Purchase option at lease end for $32,221 plus taxes (and any other fees and charges due under the applicable lease agreement) in example shown. Subject to credit approval. Specific vehicles are subject to availability and may have to be ordered. See participating dealer for details. Not valid in Puerto Rico. Please always wear your seat belt, drive safely and obey speed limits. Special lease rates may not be reflected in lease calculator prices shown on MBUSA.com. Please see your dealer for final pricing. Special lease rates may not be reflected in prices shown on MBUSA.com. Please see your dealer for final pricing. LEASE DISCLAIMER Available only to qualified customers through Mercedes-Benz Financial Services at participating dealers through April 30, 2019. Not everyone will qualify. Advertised 36 months lease payment based on MSRP of $36,745 less the suggested dealer contribution of $1,399 resulting in a total gross capitalized cost of $35,346. Dealer contribution may vary and could affect your actual lease payment. Includes Destination Charge and Premium 1 Package. Excludes title, taxes, registration, license fees, insurance, dealer prep and additional options. Total monthly payments equal $13,644. Cash due at signing includes $2,553 capitalized cost reduction, $795 acquisition fee and first month’s lease payment of $379. Your acquisition fee may vary by dealership. The acquisition fee charged by the dealer may affect the total cash due at signing. No security deposit required. Total payments equal $16,992. At lease end, lessee pays for any amounts due under the lease, any official fees and taxes related to the scheduled termination, excess wear and use plus $0.25/mile over 30,000 miles, and $595 vehicle turn-in fee. Purchase option at lease end for $20,577 plus taxes (and any other fees and charges due under the applicable lease agreement) in example shown. Subject to credit approval. Specific vehicles are subject to availability and may have to be ordered. See participating dealer for details. Not valid in Puerto Rico. Please always wear your seat belt, drive safely and obey speed limits. Special lease rates may not be reflected in lease calculator prices shown on MBUSA.com. Please see your dealer for final pricing. Special lease rates may not be reflected in prices shown on MBUSA.com. Please see your dealer for final pricing. LEASE DISCLAIMER Available only to qualified customers through Mercedes-Benz Financial Services at participating dealers through April 30, 2019. Not everyone will qualify. Advertised 36 months lease payment based on MSRP of $49,545 less the suggested dealer contribution of $999 resulting in a total gross capitalized cost of $48,546. Dealer contribution may vary and could affect your actual lease payment. Includes Destination Charge, Premium 1 Package and Blind Spot Assist. Excludes title, taxes, registration, license fees, insurance, dealer prep and additional options. Total monthly payments equal $21,204. Cash due at signing includes $3,249 capitalized cost reduction, $795 acquisition fee and first month’s lease payment of $589. Your acquisition fee may vary by dealership. The acquisition fee charged by the dealer may affect the total cash due at signing. No security deposit required. Total payments equal $25,248. At lease end, lessee pays for any amounts due under the lease, any official fees and taxes related to the scheduled termination, excess wear and use plus $0.25/mile over 30,000 miles, and $595 vehicle turn-in fee. Purchase option at lease end for $26,259 plus taxes (and any other fees and charges due under the applicable lease agreement) in example shown. Subject to credit approval. Specific vehicles are subject to availability and may have to be ordered. See participating dealer for details. Not valid in Puerto Rico. Please always wear your seat belt, drive safely and obey speed limits. Special lease rates may not be reflected in lease calculator prices shown on MBUSA.com. Please see your dealer for final pricing. Special lease rates may not be reflected in prices shown on MBUSA.com. Please see your dealer for final pricing. We know that our customers expect a higher quality of service from us. They only want the best, and that is what we are prepared to give to them. Our services do not simply end with the sale of one of our vehicles. We will be there to care for your Mercedes-Benz with factory trained service professionals who know how to give your vehicle the respect and care that it deserves. In addition to our unsurpassed level of Mercedes-Benz maintenance and car care services, we also offer complimentary home set up to integrate your Mercedes-Benz into your home and into your life with garage door programming, Bluetooth® pairing, radio set-up, and tutorials on electronics navigation and use. Let our highly trained staff take care of you throughout your Mercedes-Benz buying and owning experience. *Bluetooth® is a registered mark Bluetooth SIG, Inc.
Not every service shop can boast about their service department like we can. We have Master Certified Technicians who can handle all the maintenance that a Mercedes-Benz needs, and they will handle it correctly. When major problems turn up, they will be here with solutions. On our website, you can learn more about our service team, and you can schedule any service that you may need in Peoria. 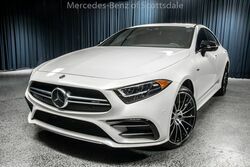 You may have already had a great buying experience with Mercedes-Benz of Arrowhead, but now it is time to have a great owning experience with your Mercedes-Benz. We will be here for you every step of the way with world-class service. We give you an honest price upfront on all your service and we will always give your Mercedes-Benz the respect it deserves. You love your car, and Mercedes-Benz of Arrowhead will treat it right when it comes to service. We push for perfection in every part of our business, and we will always be able to get the perfect part for your Mercedes-Benz. We work with 100% genuine OEM parts from Mercedes-Benz. When Mercedes-Benz made your car, they took the time to do things right, and they made sure to use the right parts. When one of your parts wears out or breaks, we will be here with the right part, the Mercedes-Benz part. This way you can be sure that nothing was sacrificed. You will have the same ride experience, the same luxury, and the same performance that you fell in love with in the first place. Come to Mercedes-Benz of Arrowhead for all your Mercedes-Benz parts needs. We have a friendly team here that can walk you through the entire parts process, and our service team can even install those parts for you too. We work hard to make your Mercedes-Benz lifestyle as simple as possible. Service staff is excellent. They give real quotes, and real time frames for work to be done. Very comfortable waiting area for service customers too. Find out if you qualify for a Mercedes-Benz corporate discount through USAA!